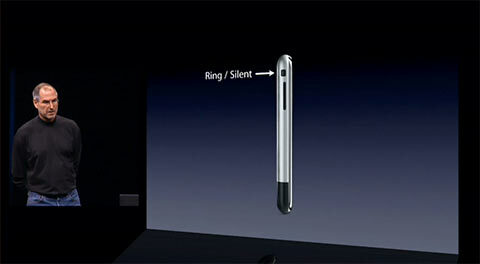 Some time ago there was a discussion about iPhone’s ring/silent switch and the way it does not mute some of sounds. Namely, it doesn’t mute timers and alarms, music and video. So only the sounds you don’t control and don’t explicitly ask for (i. e. calls, texts, emails, other notifications) are muted. Turns out, some people don’t like this behavior and would prefer the switch to just mute everything. I’m with Guy English here: I don’t want anyone but the alarm clock to wake me up. But some say, well, if it’s a matter of personal preference, why couldn’t this have been optional? Obviously, there’s already way too much stuff in Settings app and adding even more options is a bad idea. And Apple is famous for not liking options. But there’s a reason, I’ve found, why adding this option would be a particularly bad one. On a MacBook there’s no way to choose what it does when you close the lid, it just goes to sleep. On Windows notebook this is a matter of user preference. Some prefer their machines to continue working after being closed, and it makes sense if you want to, say, download an HD movie overnight. Why not add this setting on a Mac? As a Mac user I would not welcome this setting. Having no choice means closing the lid is a reliable way to sleep my notebook. I just close it, I don’t have to double check before putting it into a bag. It won’t drain my battery or overheat just because I forgot to change the stupid setting. It will go to sleep (there are some smart exceptions which are irrelevant in this discussion). On Windows you are never sure. You can’t rely on a notebook to do the right thing. You have to double check every time. If there were a way to choose whether ring/silent switch mutes all sounds or just calls and notifications, I’d never be sure my alarm would wake me up. I would have to double check this setting every time. And one day I will oversleep and miss an important meeting. Who would be to blame? So sometimes “optional” means “unreliable”. I wonder if readers could provide more examples of this.